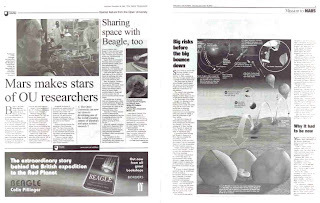 In December 2003 the Project Beagle Mars Rover was close to landing on Mars. 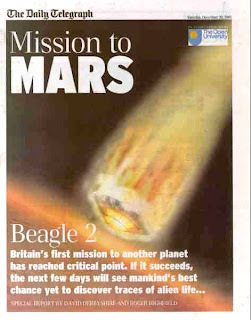 Competing against an American mission, Beagle was designed by professor's from the Open University and looked like it was going to win the race. 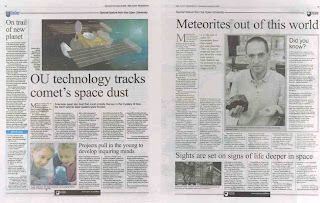 To promote this we put together an editorial supplement with the Daily Telegraph. 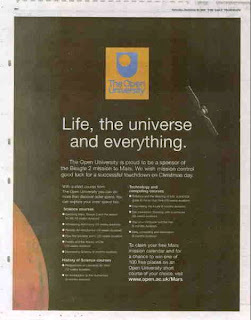 The supplement was co-branded with Open University logos and the newspaper were given behind the scenes access and exclusive interviews with the Beagle team. 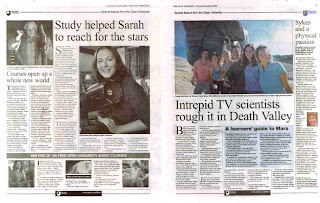 We used the supplement to raise awareness of the mission and also promoted OU courses through logos on each page, advertorials and sponsorship accreditation.